Patricia Rodríguez-Inés holds a PhD in Translation Studies, and is a lecturer at the Faculty of Translation and Interpreting of the Universitat Autònoma de Barcelona (UAB) (Spain). Her research interests include corpus linguistics applied to translation, translation teaching and translation competence acquisition. Her PhD thesis, entitled ‘Using electronic corpora in translation teaching’, won a national prize in 2009. She teaches general and specialised translation between English and Spanish at the UAB. She is member of the PACTE research group (Process in the Acquisition of Translation Competence and Evaluation). 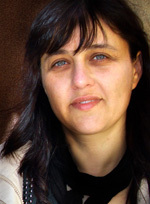 She has presented her work in several international conferences and published in international translation journals (Across, Babel, ITT, Meta, Perspectives).